White Hat SEO techniques are those techniques used to build and promote a website which are above board, honest and right, play within the rules and try to follow all the search engine guidelines. Google ranks pages on a scale of 0-10 with 10 being the highest. So its not just about the amount of links it’s also about the importance of those links – you could get hundreds of links on zero or low ranked pages, which have content that has no relation to your keywords, this may help your website crawl up search engine result pages for some keywords, but you could achieve a much better result with just a handful of high quality links on websites which are related to yours. You don’t need to submit your website to any of the main search engines or the bulk of the other search engines.. Because it’s just a waste of time, if your website has a handful of incoming links from other websites then any search engine will naturally index your site after finding it from these links. However you can get indexed in search engines within 24 hours! Yes that’s correct. 1 Link on any page ranked 5 or more – spidered and indexed within 24 hours. 2 links on any page ranked 4 or more – 48 hours. 4 Links on any page ranked 3 or more – 96 hours. 1) Building a website with unique content and images. 3) Getting your website listed in directories or on other websites with related content. Let us see the techniques in detail. Unique content is content found only on one website, the bigger your website is (the more unique content you have), then the higher it will rank in SERPS and the more traffic you will get because you have many text keywords which can match search engine queries. You will also naturally have many internal hyperlinking keywords. This means making your link exchange with other websites that have the same or a similar theme to yours. It also involves regularly checking the links to ensure both parties are adhering to the deal and that the site you are trading with is not cheating on reciprocal links. 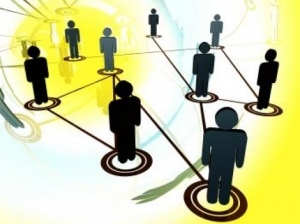 Cheating on reciprocal links can mean making a lowly link exchange into a lucrative one-way link. There are a number of ways Black Hat webmasters use to do this. White Hat webmasters should also be aware of these techniques as they are more than likely being used against them. Getting other websites to link to you, without you reciprocating the link is much more important. You can submit your link to your signature in forums, directories which don’t cheat you, your friends’ websites, Obviously if you have stuff which is free, or funny or entertaining, or your website is very useful or informative then other surfers may link to your site. Using white hat SEO does not involve buying links of any form. Buying links is now considered by Google as a violation of their guidelines and an attempt to manipulate SERPS. So basically this means that if you buy any links at all which are HTML links direct to your website then you are in violation of Googles guidelines. Links purchased for advertising should be designated as such. This can be done in several ways, such as: Adding a rel=”nofollow” attribute to the tag..
. Although the money can get you listed quicker, it has nothing to do with how well you rank. If you pay money and get listed on Page 20 of the search engine results pages, you may as well not be listed. Most Internet users don’t browse past the first 10 search result pages. 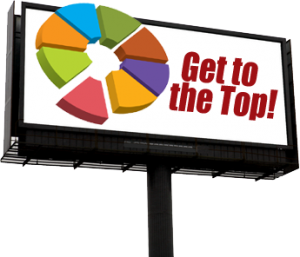 By using the right strategy, you can soar to the top of the search engine pages. Best of all, you can do it for free. 1.Identify the site-related keywords and keyword phrases Internet users are typing into search engines. The goal is to find the keywords and phrases that are related to your website. Look for keywords and phrases that get the most searches. The Google Adwords Keyword Tool is a free online resource that will allow you to search keyword statistics (see Resources). 2.Purchase a domain name that includes your targeted keyword or phrase. The domain name is one of the first things search engine spiders look at when crawling the web for relevant websites. 3.Write high-quality content for your website. Include keywords and keyword phrases throughout the content. Ideally, you should include your keyword within the first sentence of your article. Sprinkle the keywords throughout the remainder of the article. However, you don’t want to use the keywords so much that your writing sounds redundant to your readers. 4.Create meta tags for your web pages. The meta tags should include your web page title, keywords and description. If you need assistance creating and using meta tags, use free online meta tag generator tools (see Resources). 5.Generate inbound links to your website. This is done by placing your website address on other websites. For instance, place your website address on message boards, forums and related directories. Ask the owner of another website if he is willing to exchange links. In other words, you place a link to his site on your web page and he places a link to your site on his page. 6. Avoid using “black hat SEO” tactics. An example of black hat SEO, which stands for search engine optimization, is when the site creator places a lot of keyword phrases on a web page and makes the words invisible. The words are made invisible by using the same font color and background color. Black hat SEO may get you top rankings for a short time. However, if you get caught, your site may be completely banned from the search engine results pages. So, it’s best to do it the right way. 7. Submit your URL to search engines. To do this, visit each search engine page. Click the option to “Add URL,” “Add Website” or “Submit URL.” Depending on the search engine, the wording may vary slightly. What is White Hat Seo?? White Hats take an ethical approach: considering all the Internet stakeholders, not just the self and the client. White Hats do not accept ‘shades of grey’ – SEO is clean and honest. Or not. Black Hat is a term of convenience for anyone who is not ‘White Hat’. White Hats make no attempt to deceive search engines; what you see is what you get. White Hats favour honesty with client about techniques, risks, rewards. White Hats see search engines as friends; you want their help, you adhere to their guidelines; a simple trade off. White Hats see on-site measures as helping visitors, as well as SEs; a better site self-SEOs, plus converts more customers, and gets repeat visits. 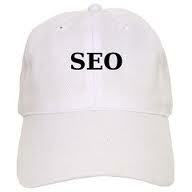 White Hats emphasize the long term nature of successful SEO; inexorable progress, without looking over the shoulder. White Hats understand that ‘Black Hat’ success must harm sites displaced by spam sites, and therefore is potentially illegal. White Hats believe that if ‘Black Hats’ used their skills and experience honestly, they’d probably be more successful than constantly rethinking strategy. White Hats condemn those who support, conceal, or apologize for Black Hats, who harm the industry. For White Hats, it’s all about intention. How to get backlinks for white hat seo? Gaining high quality and relevant back links is essential in order to achieve a good ranking in search engines.Many people find getting backlinks the most tedious part of Search Engine Optimisation but it doesn’t need to be. This article will reveal several different methods to get backlinks which can help you website get indexed and ranked better in a white hat SEO way which will not get you penalized. 1.The Basics – In order to get maximum benefit from backlinks they must have relevant anchor text and the link must be on a page that is relevant to your website. For example, a link on a kitchen furniture blog with the anchor text “kitchen tables” – would have a more powerful effect on rankings for furniture site than a site about cars. 2.Social Bookmarking – Submitting your site to social bookmarking sites is a good way to get your website indexed. Submit to a few authoritative sites such as folkd, mixx, reddit, digg and delicious. There is no need to submit to hundreds of social bookmarking sites as they are not completely relevant. 3.Blog Comments – If you are not aware of any blogs in your niche, you can use the search in google using “(keyword) wordpress” or “(keyword) blogspot” to find relevant blogs. If you can add value to a blog post, make a post and include your site in the web address field of the comment box or add it to the comment box to reference it. Blog comments are great for highly relevant links and qualified traffic. 4.Forums – Find forums related to your niche. 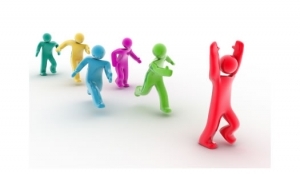 Participate in forums in your niche and answer questions with references using your links. For example, if someone asks about a treatment for carpal tunnel, you could paste text from your site to the forum and include a link as a source. Forums are one of the best places to get great links and high quality long term traffic. They are also useful for getting ideas on content for your site. 5.Facebook – If you have a website which will help other people, why not tell people about it on Facebook? You can create a Facebook fan page which will make your website more visible to people on Facebook and you will also get a good quality link. Make sure that you have good content on your fan page.